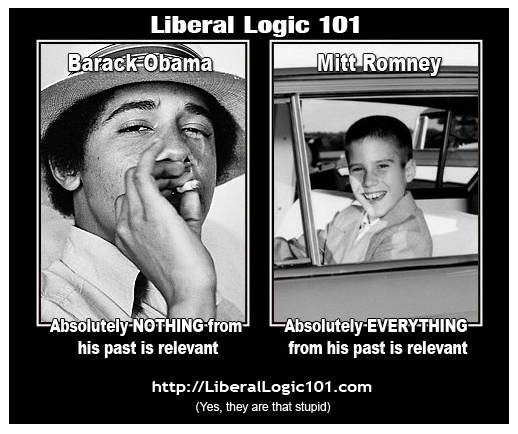 These liberal logic memes are always so amusing. Not that they’re actually funny. They’re not. They’re stupid as hell which makes them so amusing. What’s even more amusing , is that there are actual conservatives who have drunk enough kool-aid to believe liberals are the intolerant group , and are the real bigots and racists. They’re the intolerant group because they don’t tolerate ‘different ideas and beliefs.’ In other words , liberals must tolerate the intolerance of the anti gay bigots , or they themselves are intolerant. Which is nonsense. Liberals don’t have to tolerate intolerance to be tolerant. 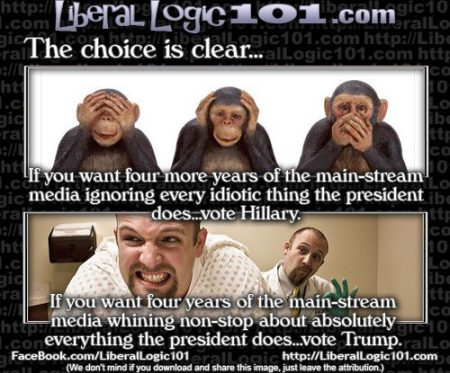 This particular meme suggests that a typical liberal will blindly follow the Democratic party line without question. And that they believe the book 1984 is an instruction manual. Suggesting that they are unable to think for themselves. If there is one particular group that doesn’t think for itself , that blindly follows without question , it would be the conservatives who are too far gone ( the true cool aid drinkers ). They never question their own ideology. It’s ingrained into their brains : Conservatives good. Liberals bad. They believe everything they read and hear about Obama and Hillary Clinton : Obama bad. Clinton bad. They believe every conspiracy theory ever written about them both , no matter how insane they are. This is the group that believes that liberals are communists , Obama is either a radical Muslim , or a radical far left Marxist , or both. This is the group that actually believes the Democratic party policy platform is the same as the 1930’s Nazi party , and that they’re also Marxists. This is how far gone they are , and they believe liberals are insane.